If you’re the owner of an automatic gate in Malibu, or would like to be one soon, you’ve come to the right place. Gate Repair Malibu offers the best value for local repair, installation, and problem troubleshooting services, courtesy of one of the best and most adaptable technical teams in all of California. There’s a lot that can go wrong with an automatic gate, from electrical failures and faulty intercoms, to motor or track jams, to outright breaks or dents in the bars or panels themselves. 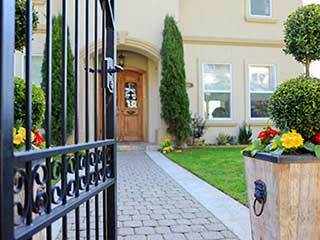 Gate Repair Malibu is well versed in every aspect of service you may require, and can take care of whatever needs doing skillfully and efficiently. Elite, LiftMaster, and Ramset are just three of the dependable manufacturers at your disposal when you get in touch with us. If you need a sensor or an entire opener replaced, or want to upgrade your driveway gate with some extra features, look no further. Let us know what you're looking for and you'll get professional consultation that will help you make an informed decision. 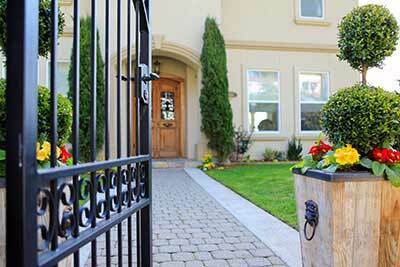 When your driveway gate gives you trouble, it’s not always clear what’s causing the problem. Some malfunctions require expertise to identify, let alone to solve. If your system is having a mystery problem, and seems to be opening or closing on its own, or won't budge when you use your remote or some other control method, let us know. Professional technicians will go over every inch of your gate, from batteries to bars, and test every individual component until the problem is located. Welding, carpentry, and electrical work are just a few of the skills our experts employ in the field. Whether your gate is made of wood, vinyl, or metal, you can count on us to repair whatever’s broken and find suitable replacements for worn out or damaged parts, including lights, intercoms, and sensors. If you need to have a new gate installed, you can get one readymade, or have one built to your specifications. Sliding, swinging, and even hybrid gates are available, from quality materials that will not only last for a long time, but will look beautiful and appealing right off the bat. Gate Repair Professionals Near You!